The Soviet program to land a man on the moon and return him safely to earth. Soviet Lunar Landing The Russians were never able to have enough success with the N1 booster to have a serious schedule for the first Soviet lunar landing. In January 1969, before the first N1 launch, it was not expected that a Soviet landing would take place until 1972 at the earliest. Soyuz n 17 Cancelled 16 day mission with Soyuz n 17 to conduct rendezvous and docking operations and demonstrate life support system for the LK manned lunar lander. Soyuz n 18 Cancelled 16 day mission with Soyuz n 18 to conduct rendezvous and docking operations and demonstrate life support system for the LOK manned lunar orbiter. 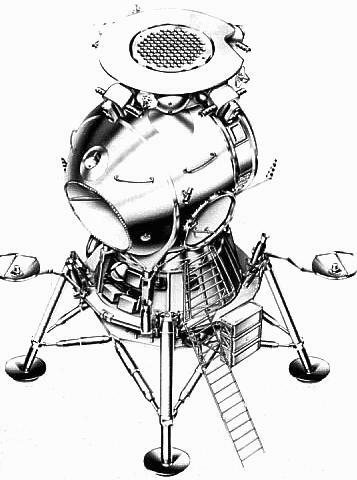 L3-1 Planned first Soviet manned lunar landing, slated by end 1969 before N1 flight tests began in early 1969. Crew possibly Leonov and Makarov. Soyuz n 19 The active spacecraft in the second planned test of the Kontakt lunar rendezvous/docking system. These would have been 15 to 16 day missions to demonstrate both the new SZhO life support system for the L3, to conduct rendezvous and docking operations using the L3's Kontakt system, and to conduct EVA transfer of one cosmonaut. Soyuz n 20 Passive spacecraft in the second planned test of the Kontakt lunar rendezvous/docking system. One or two of the crew would have spacewalked to the Soyuz 11 Kontakt and returned in the other spacecraft. L3-2 Planned first Soviet manned lunar landing, slated for 1970 before N1 flight tests began in early 1969. Crew possibly Bykovsky and Rukavishnikov. 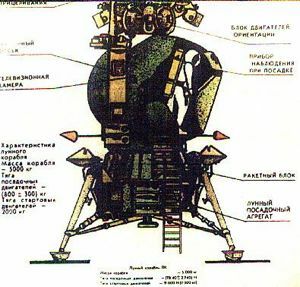 L3-3 Planned first Soviet manned lunar landing, slated for 1970 before N1 flight tests began in early 1969. Crew possibly Popovich and Sevastyanov. Soyuz sn 18 Soyuz s/n 18 would have been the active spacecraft of the first dual-spacecraft test of the Kontakt docking system. A crew transfer using the Krechet spacesuit would presumably have taken place. Soyuz sn 19 Soyuz s/n 19 was to have been equipped with the passive Kontakt rendezvous/docking system of the LK lunar lander. It would have been the docking target for Soyuz s/n 18. A crew transfer using the Krechet spacesuit would presumably have taken place. Soyuz sn 20 Soyuz s/n 20 would have been the active spacecraft of the second dual launch to test the Kontakt lunar orbit rendezvous system. A crew transfer using the Krechet spacesuit would presumably have taken place. Soyuz sn 21 Soyuz s/n 21 equipped with the passive Kontakt rendezvous/docking system of the LK lunar lander. Would have served as a docking target for Soyuz s/n 20 . A crew transfer using the Krechet spacesuit would presumably have taken place. Soyuz sn 22 Soyuz s/n 22 would have been the active spacecraft of the second dual launch to test the Kontakt lunar orbit rendezvous system. A crew transfer using the Krechet spacesuit would presumably have taken place. 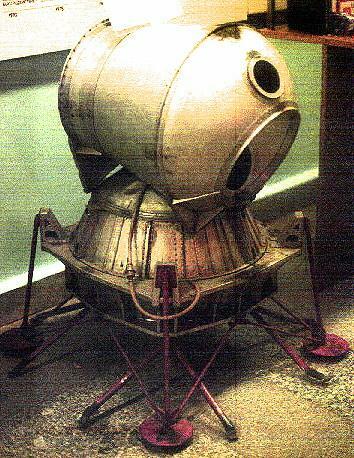 Soyuz sn 23 Soyuz s/n 23 would have been equipped with the passive Kontakt rendezvous/docking system of the LK lunar lander. The spacecraft would have served as a docking target for Soyuz s/n 22. Soyuz Kontakt A Final crews selected for a dual Soyuz mission in Earth orbit to test the Kontakt docking system to be used on the lunar landing LOK and LK spacecraft. 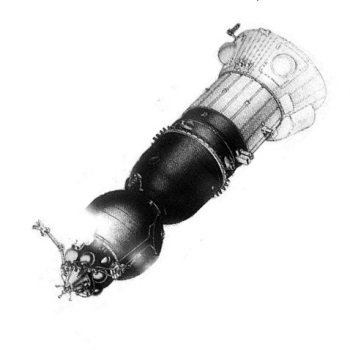 The Kontakt-A Soyuz would have been the active spacecraft, simulating the LOK lunar orbiter. Soyuz Kontakt P Final crews selected for a dual Soyuz mission in Earth orbit to test the Kontakt docking system to be used on the lunar landing LOK and LK spacecraft. 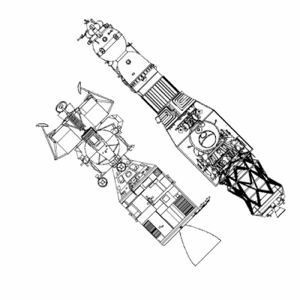 The Kontakt-P Soyuz would have been the passive spacecraft, simulating the LK lunar lander. People: Mishin, Afanasyev, Sergei, Kirillov, Dorofeyev. Country: Russia. Spacecraft: Luna E-6LS, Soyuz 7K-L1A, Soyuz 7K-L1E, LK, Soyuz 7K-LOK. Flights: Apollo 11, Soyuz n 17, Soyuz n 18, Soyuz n 19, Soyuz n 20, Soyuz sn 18, Soyuz sn 19, Soyuz sn 20, Soyuz sn 21, Soyuz sn 22, Soyuz sn 23, Soviet Lunar Landing, Soyuz Kontakt A, Soyuz Kontakt P. Launch Vehicles: Molniya 8K78M, Proton-K/D, Soyuz 11A511L, N1 1969. Launch Sites: Baikonur. Agency: RVSN, MOM. Overhead view of the LK lander, showing Kontakt docking system hexagonal grid docking structure. Exit hatch and ladder are to the right; scallop for main view port at front. Two high gain antennae at either side provided transmission of television from the lunar surface to earth. 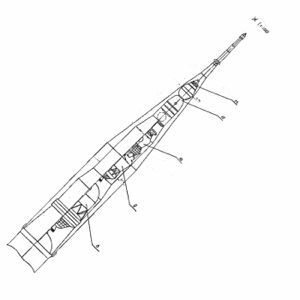 Dimensioned Russian cutaway drawing of N1 launch vehicle. View of the landing leg to the cosmonaut's front left. Note the solid rocket motors mounted above each leg that fired DOWN to settle the LK securely on the surface once the lander was near the surface. Yangel OKB tests proved such rockets greatly improved the chances of the rocket not toppling if landing on a 30 degree slope or with one leg on a moon rock. The descent ladder is seen to the right of the picture. LOK Orbital Module, view down from top of spacecraft toward Soyuz descent module. 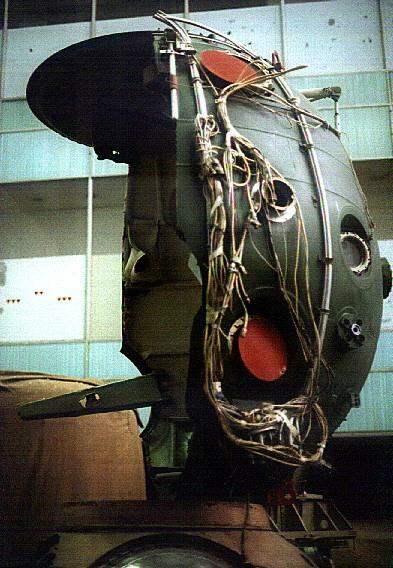 Subscale dynamic test article of a late configuration of the LK, as preserved in the TsniiMash museum. This shows well the complex shape of the Lunar Cabin and the final LPU configuration. The LK engine cluster at the base of the lander. 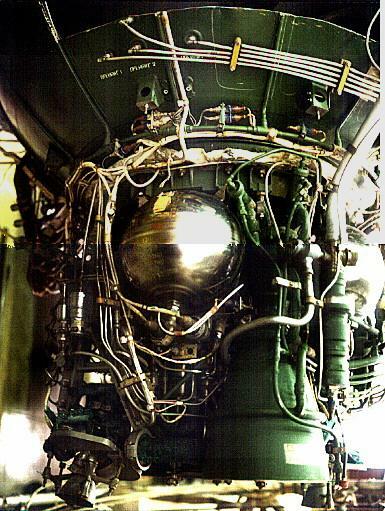 The single chamber RD-858 of the 2,050 kgf main engine is at the centre. It is flanked by the two nozzles of the RD-859 2,045 kgf backup engine. The smaller nozzles are exhaust nozzles for the turbines of the pump-fed engines. At landing or takeoff, both the primary and backup engines would ignite. Only if both engines were operating, would one shut down. 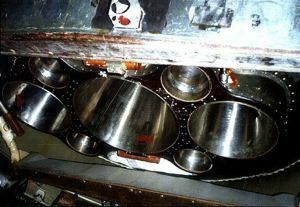 The thick clamshell doors closed over the engines after landing to insulate them and prevent ingestion of lunar soil. 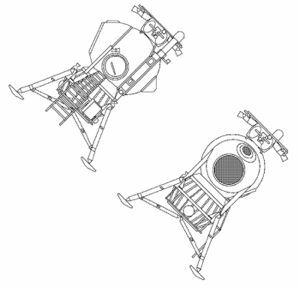 Two view layout drawing of LK lunar lander. Dynamic Test Model of Early LK Concept. 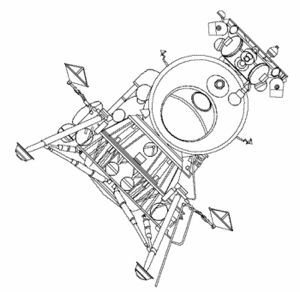 Cutaway drawing of LK lunar lander, showing position of cosmonaut in cabin. Detail forward view drawing of the LK lunar lander. Detail of the base of the ladder, showing the battery racks below the ladder. Note the shape of the foot pad. The cosmonauts' view of the LK viewports and control panels. 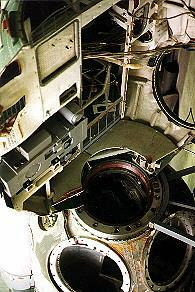 On the left, environmental control and cabin depressurisation controls (light blue panel); radio controls (dark green panel); large porthole looking down at lunar surface during landing. The small porthole looked upward for docking. The optical devices that were associated with these portholes are not present in this mock-up. To the right, sequencer panel for calling up sequences for manoeuvres, landing, rendezvous, and docking. Guarded switches initiated major events. One of two hand controllers is visible below the green radio panel. Overall view of the LK preserved at the Orevo Museum of the Bauman Moscow State Technical University. LOK Orbital Module. Note the far greater amount of external cabling and connecting plates than in the standard Soyuz. 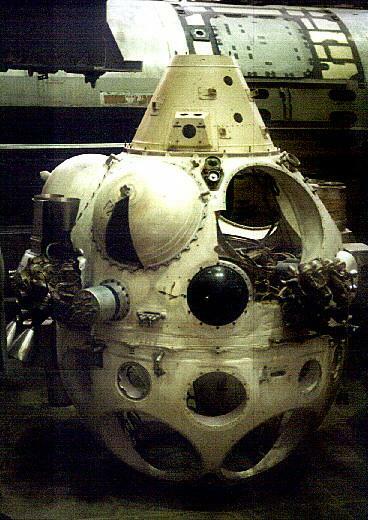 Soyuz 7K-LOK manned lunar orbit spacecraft. Krechet lunar space suit as displayed at NPO Zvezda. As in the Orlan suit still used on Mir, the cosmonaut entered the suit by swinging open a hatch at the rear. 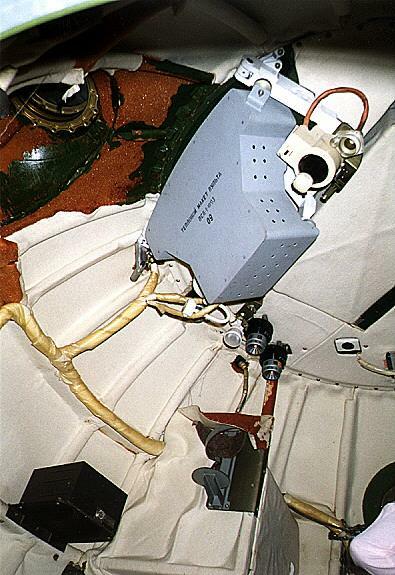 The backpack containing the life support system was housed in the backpack which made up the hatch door. As in Apollo, the gold-coated outer visor of the helmet reflected ultra-violet radiation. The integrated Kretchet design meant that no external hoses were required as in the American Apollo suit. 1959 December 31 - . Launch Vehicle: N1. Nuclear propulsion work abandoned. - . Nation: Russia. Related Persons: Korolev. Program: Lunar L3. Korolev abandons work on nuclear-powered rockets. Future launch vehicles to be based on conventional lox/keroesene propellants..
1962 August 1 - . Russian methods for sending a man to the moon - . Nation: Russia. Program: Lunar L3. A recent Russian article discussed various methods which the Soviet Union had been studying for sending a man to the moon during the decade. The earth orbital rendezvous method was reported the most reliable, but consideration also had been given to the direct ascent method, using the "Mastodon" rocket. 1963 March 21 - . Launch Site: Baikonur. Launch Complex: Baikonur LC110L. Launch Vehicle: N1. Design work starts on N1 launch complex. - . Nation: Russia. Program: Lunar L3. 1963 September 1 - . Launch Site: Baikonur. Launch Complex: Baikonur LC110L. Launch Vehicle: N1. Construction begins of N1 launch complex - . Nation: Russia. Program: Lunar L3. 1964 February 12 - . LV Family: N1. Launch Vehicle: N1 1962. Kremlin meeting on lunar landing plans - . Nation: Russia. Program: Lunar L3. Spacecraft Bus: Soyuz. Spacecraft: L3-1963. VVS officers meet with O G Ivanovskiy for two hours. The Communist Party plans a lunar expedition in the 1968-1970 period. For this the N1 booster will be used, which has a low earth orbit payload of 72 tonnes. The minimum spacecraft to take a crew to the lunar surface and back will have a minimum payload of 200 tonnes; therefore three N1 launches will be required to launch components, which will have to be assembled in orbit. However all of these plans are only on paper, and Kamanin does not see any way the Soviet Union can beat the Americans to the moon, who are already flying Apollo hardware for that mission. 1964 February 18 - . Lunar trainers - . Nation: Russia. Related Persons: Bykovsky, Tereshkova. Program: Lunar L1, Lunar L3. Flight: Soyuz A-1, Soyuz A-2, Soyuz A-3, Soyuz A-4. Spacecraft: L3-1963, Soyuz A, Soyuz B, Soyuz V.
Concepts for trainers for lunar landings and fly-bys are discussed. The five flown cosmonauts sit for entrance examinations to the Zhukovskiy Institute. Kamanin is irritated that of the five, only Bykovsky seems really bright and alert. Tereshkova is still studying for the examination. 1964 September 1 - . Launch Site: Baikonur. Launch Complex: Baikonur LC110L. Launch Vehicle: N1. Construction start of N1 launch complex 110 east - . Nation: Russia. Program: Lunar L3. 1964 October 31 - . Launch Vehicle: UR-700. UR-700 project cancelled - . Nation: Russia. Related Persons: Chelomei, Korolev. Program: Lunar L3. Class: Moon. Type: Manned lunar spacecraft. Spacecraft Bus: TKS. Spacecraft: LK-700. 1965 February 2 - . Cosmonaut organisation - . Nation: Russia. Related Persons: Beregovoi, Malinovskiy, Nikolayev. Program: Lunar L1, Lunar L3. Spacecraft: LK-1, Soyuz A, Soyuz B, Soyuz PPK, Soyuz R, Soyuz V.
Kamanin will organise the cosmonauts into two groups: the first group will be commanded by Nikolayev, and the latest group by Beregovoi. They will be assigned to support and train seven missions: military space (reconnaissance, interceptor, and combat spacecraft); space navigation; life support and rescue systems; communications and telemetry systems; scientific orbital stations; lunar fly-by; and lunar landing expeditions. All of this may be for nought, since Marshall Malinovskiy has said that heavy launch vehicles and lunar flights have no military utility and should be funded and handled by the Academy of Science. 1965 March 2 - . Babakin takes over Lavochkin OKB - . Nation: Russia. Related Persons: Babakin, Chelomei, Korolev. Program: Lunar L3. Class: Manned. Type: Manned space station. Spacecraft: Luna E-6, Luna Ye-8. Former Lavochkin bureau, part of Chelomei, regained status of a separate design bureau with former Korolev deputy GN Babakin as its head. By the end of 1965 all materials on the E-6, Ye-8, and planetary probes were passed by Korolev to the Lavochkin Bureau, who took over responsibility for all future lunar and planetary unmanned probes. 1966 February 1 - . Launch Site: Baikonur. Launch Complex: Baikonur LC110L. Launch Vehicle: N1. Construction starts on N1 launch pad 110 west. - . Nation: Russia. Program: Lunar L3. 1966 February 14 - . Launch Vehicle: N1. N1 redesign to increase payload to 95 tonnes - . Nation: Russia. Related Persons: Mishin. Program: Lunar L3. Following Korolev's death, Mishin discovered that growth of the mass of the L3 payload had taken the low earth orbit payload requirement to 95 tonnes, beyond the 75 tonne lifting capability of the N1. To achieve the 95 tonne payload, changes in plans and redesign of the N1 would be necessary. The measures taken were: reduction of the orbital inclination for the initial earth orbit from 65 degrees to 52 degrees; reduce the altitude of the lunar orbit from 300 km to 220 km; increase the propellant mass by supercooling the propellants prior to loading in the lunach vehicle (the kerosene to be at -15 to -20 degrees Centigrade, the liquid oxygen to -191 degrees centigrade); add six engines to the first stage; increase thrust of all the engines on the first, second, and third stages by 2%; add a fourth stabilizer. The result of all of these measures would increase the launch mass to 2800 tonnes and the payload to the required 95 tonnes. 1966 July 10 - . Komarov announces that USSR will beat US to moon - . Nation: Russia. Related Persons: Komarov. Program: Lunar L3. Class: Manned. Type: Manned space station. Komarov announces in Japan that USSR would beat the US to moonlanding by one year..
1966 July 28 - . Industrial problems - . Nation: Russia. Program: Lunar L1, Lunar L3. Kamanin is having a difficult time getting two additional Tu-104 aircraft for zero- and partial-gravity training and tests for the L1 and L3 lunar projects. The type is not in the VVS inventory, and he has to go through the Ministry of Civil Aviation to obtain and maintain the aircraft. There seems to be no acceptable bureaucratic method to do this. Vershinin has completed and forwarded to the Central Committee the VVS letter refuting the attempt by MOM to take over manned spaceflight. 1966 August 2 - . Letter to Central Committee on OKB-1 actions. - . Nation: Russia. Related Persons: Malinovskiy. Program: Soyuz, Lunar L1, Lunar L3. Malinovskiy decides to send the letter to the Central Committee complaining about MOM and OKB-1's after two days of indecision..
1966 October 5 - . Council for the Problem of the Conquest of the Moon - . Nation: Russia. Related Persons: Afanasyev, Sergei, Karas, Sokolov. Program: Lunar L1, Lunar L3. Spacecraft Bus: Soyuz. Spacecraft: Soyuz 7K-L1. A government resolution has created a Council for the Problem of the Conquest of the Moon. The chairman will be Minister Afanasyev; the members, other ministers, deputy ministers, academicians, and the chief designers. The only member from the Defense Ministry will be lieutenant generals Karas and Sokolov. There are no VVS members, but Kamanin has already received a request that General Ioffe report to the council on VVS plans for search and recovery of unmanned lunar precursor spacecraft. 1966 November 15 - . Launch Site: Baikonur. Launch Complex: Baikonur. Launch Vehicle: N1. First N1 hardware arrives at Baikonur. - . Nation: Russia. Program: Lunar L3. 1966 November 19 - . First Soyuz Launch Commission - . Nation: Russia. Related Persons: Afanasyev, Sergei, Grechko, Keldysh, Kerimov, Krylov, Kurushin, Malinovskiy, Mishin, Mnatsakanian, Pashkov, Petrovskiy, Pravetskiy, Rudenko, Ryazanskiy, Serbin, Smirnov, Tkachev, Ustinov, Vershinin, Zakharov. Program: Soyuz, Lunar L1, Lunar L3. Flight: Soviet Lunar Landing, Soyuz 1, Soyuz 2A, Soyuz 7K-L1 mission 1, Soyuz 7K-L1 mission 2, Soyuz 7K-L1 mission 3. Spacecraft: Soyuz 7K-L1, Soyuz 7K-OK.
Rudenko has reached agreement with Mishin that L1 and L3 crews will also consist of a VVS pilot as commander, and an OKB-1 flight engineer. Kamanin is depressed. Despite the support six marshals (Malinovskiy, Grechko, Zakharov, Krylov, Vershinin and Rudenko), Mishin has won this argument with the support of Ustinov, Serbin, Smirnov, Pashkov, Keldysh, Afanasyev, and Petrovskiy. Later the State Commission meets, for the first time in a long time at Tyuratam. Kerimov chairs the session, with more than 100 attendees, including Mishin, Rudenko, Krylov, Pravetskiy, Kurushin, Ryazanskiy, Mnatsakanian, and Tkachev. All is certified ready,. Launch of the active spacecraft is set for 26 November, and the passive vehicle on 27 November. During 1967 - . Launch Vehicle: N1. 1967 March 31 - . Soviet lunar maps prepared. - . Nation: Russia. Program: Lunar L3. Kamanin examines maps of the moon, executed at scales of 1:5,000,000 and 1:10,000,000. 2000 are to be printed for use by the cosmonauts in preparation for the Soviet lunar landings. Mishin doesn't see the point - he is very aggressively anti-pilot for his lunar spacecraft. 1967 June 15 - . LV Family: N1. Launch Vehicle: N1M. First test of liquid hydrogen/LOX engine for N1M - . Nation: Russia. Program: Lunar L3. First test of the 11D56 in an iron stand version. First test of an engine with these propellants in USSR for use in a space launch vehicle..
1967 August 31 - . Launch Site: Baikonur. Launch Complex: Baikonur LC110R. Launch Vehicle: N1. N1 launch pad 110 east completed - . Nation: Russia. Program: Lunar L3. Review of N1 progress. - . Nation: Russia. Related Persons: Mishin, Pashkov, Smirnov, Ustinov. Program: Lunar L3. Spacecraft: LK-700, Spiral OS. 1967 October 3 - . Mishin's errors means Kamanin will not see a Soviet man on the moon in his lifetime. - . Nation: Russia. Related Persons: Mishin. Program: Lunar L1, Lunar L3. The moon landing has already been delayed three to four years due to the mistakes of Mishin. Kamanin feels his mortality, the limited number of years remaining in his life, and is furious that Mishin is wasting time when life is so short for everyone..
1967 October 10 - . Launch Vehicle: N1. Lunar Soviet - . Nation: Russia. Related Persons: Afanasyev, Sergei, Chelomei, Keldysh, Kuznetsov, Mishin. Program: Lunar L1, Lunar L3. Spacecraft: L5. The first Soviet flight to he moon will use the current plan - one N1 launch, one cosmonaut on the moon. A new N1 model is to be developed to land the new L5 spacecraft (which will be able to handle 4 to 5 crew, 1.5 to 2.0 tonnes of scientific equipment, and spend three months on the lunar surface). This is to be ready two to three years after the first landing. 1967 October 29 - . Launch Vehicle: N1. Cosmos 188 launch scrubbed. - . Nation: Russia. Program: Soyuz, Lunar L3. Spacecraft Bus: Soyuz. Spacecraft: Soyuz 7K-OK. The Soyuz-B ('Baikal') launch was delayed to 30 October due to problems with the celestial navigation system aboard Cosmos 186. Later that day an N1-L3 review is held. The first launch vehicle will be completed in two to three weeks, but the launch complex will not be ready until next January. The first trials of the booster on the pad will begin in February-March 1968, with the first launch in the second half of the year. 1967 November 13 - . Kamanin's thoughts on first Saturn V launch. - . Nation: Russia. Related Persons: Grechko, Andrei, Malinovskiy, Mishin, Pashkov, Smirnov, Ustinov. Program: Lunar L3, Apollo. The first Saturn V and Surveyor 6 have been launched by the Americans. Kamanin catalogues why the Americans are beating them: bad organisation, on the parts of Ustinov, Smirnov, Pashkov, Malinovskiy, and Grechko; technical errors and an undisciplined approach to the fulfilment of government decrees concerning the Soyuz and N1 on the parts of Chief Designers Korolev and Mishin; lack of coordination between the institutes and design bureaux compared to the United States; and finally, the Americans are spending several times more money than has been dedicated to the Soviet space program. 1967 November 25 - . Launch Site: Baikonur. Launch Complex: Baikonur LC110L. Launch Vehicle: N1. N-1 mockup 1M1 rolled out to launch pad - . Nation: Russia. Program: Lunar L3. Stays on pad until 12 December for facilities checks. Photographed by US reconnsat on 11 December. 1M1 mockup scrapped in 1975..
1967 December 2 - . Launch Vehicle: N1. Lunar Soviet. - . Nation: Russia. Related Persons: Afanasyev, Sergei, Mishin, Smirnov, Ustinov. Program: Lunar L3, Apollo. A panel headed by Afanasyev and Mishin reviews the readiness of the N1. The mock-up booster is to complete pad compatibility tests by 30 March 1968. The first launch is still supposed to take place in the second half of 1968. The launch of the American Saturn V in November has reenergized the workers at Tyuratam. Kamanin is impressed - he was less sure of success, knowing all the problems of a project that requires the labour of thousands of persons. Afanasyev then turns to crew selection issues. The original resolution said that a cosmonaut was to be launched by an N1-L3 by April 1968. Mishin says he will be able to make two launches in the second half of 1968. It will take 18 to 24 months to train crews. But to date, Mishin still won't agree to crew selections, despite dozens of contacts and letters from Kamanin to Ustinov and Smirnov. There are still no simulators for the L3. Mishin wants to launch to the moon only engineers from TsKBEM. He is given an ultimatum: either the VVS will leave the space program, requiring Mishin to take over all training and crew responsibilities, or reach an agreement on crew composition in the next few days. Afansyev orders the commission to convene again in two to three days. 1967 December 27 - . Launch Vehicle: N1. Mishin to remain in charge until first L3 launches. - . Nation: Russia. Related Persons: Afanasyev, Sergei, Feoktistov, Mishin, Ustinov. Program: Lunar L3. Afanasyev holds meetings on the L3 lunar expedition program. Kamanin recites Mishin's failings. Afanasyev replies that he has talked to Ustinov about it, but Ustinov will leave the current management in charge until N1 flight tests begin. If they are unsuccessful, then Mishin alone will have to answer for it. Afansyev also assures Kamanin that although Feoktistov should be allowed to train for a space flight, he and Ustinov will make sure he never flies. 1968 January 28 - . Launch Vehicle: N1. Sergei Osipovich Okhapkin put in charge of the N1 at TsKBEM - . Nation: Russia. Related Persons: Mishin, Okhapkin. Program: Lunar L3. This decision led to one of Mishin's famous 'illnesses', putting him out of action for a period..
1968 February 3 - . Ye-8-5 robot lunar soil return plans - . Nation: Russia. Related Persons: Babakin. Program: Lunar L1, Luna, Lunar L3. Spacecraft Bus: Luna Ye-8. Spacecraft: Luna Ye-8-5. VVS Party Conference. It is clear to Kamanin that there is no support from the Air Force for manned spaceflight. Kamanin only heard yesterday that Babakin is working on an automatic soil sample return spacecraft. He will need a minimum of two to three years to complete it. Kamanin complained that it would interfere with plans for the L1 program. An uninterrupted series of flights will be needed to complete the L1 spacecraft qualification, and the Ye-8, using the same booster, could be an interference in achieving that goal. 1968 March 14 - . Soviets review American plans. - . Nation: Russia. Program: Apollo, Lunar L3. Six Apollo spacecraft are to be flown into earth orbit in 1968, four unmanned and two manned. Five flights are planned for 1969, including the first landing on the moon. Beyond this is the Apollo Applications Program. Expenditures for this are planned as $179 million in 1968 and $435 million in 1969, leading to the first orbital laboratory in 1970. 1968 March 20 - . Lunar spacesuit review. - . Nation: Russia. Related Persons: Mishin, Severin. Program: Lunar L3. Spacecraft: Krechet, LK, Luna Ye-8, Orlan. Meeting with Gay Ilyich Severin. Two spacesuits are being developed for the L3 program: the Krechet-94 and Orlan. Both have been in development for two years. The Krechet-94 will allow six hours of lunar surface activity, the Orlan, 2.5 hours. Both weigh about 90 kg. There are consumables for a total of 52 hours of life support in the LK and the LT Lunar Cart. Kamanin feels the suits are too heavy, due to Mishin's demand for a 5 km range from the LK over a three day traverse with the LT. Severin could have instead developed the spacesuit used by Leonov to have a four hour autonomous operation, but Mishin insisted on doubling of the capacity. 1968 April 4 - . Soviet view on Saturn V - . Nation: Russia. Program: Lunar L3, Apollo. 1968 April 7 - . 10:09 GMT - . Launch Site: Baikonur. Launch Complex: Baikonur LC1. LV Family: R-7. Launch Vehicle: Molniya 8K78M. Luna 14 - . Payload: E-6LS s/n 113. Mass: 1,700 kg (3,700 lb). Nation: Russia. Agency: MOM. Program: Lunar L3. Class: Moon. Type: Lunar probe. Spacecraft Bus: Luna E-6. Spacecraft: Luna E-6LS. USAF Sat Cat: 3178 . COSPAR: 1968-027A. Lunar Orbiter; studied lunar gravitational field, Earth-Moon gravitational relationship, and conducted further scientific experiments in circumlunar space. Not revealed until years later was that the E-6LS was primarily intended to test tracking and communications networks for the Soviet manned lunar program. The Luna 14 spacecraft entered a 140 x 870 km x 42 degree lunar orbit on April 10, 1966. The spacecraft instrumentation was similar to that of Luna 10 and provided data for studies of the interaction of the earth and lunar masses, the lunar gravitational field, the propagation and stability of radio communications to the spacecraft at different orbital positions, solar charged particles and cosmic rays, and the motion of the Moon. This flight was the final flight of the second generation of the Luna series. 1968 April 18 - . Two men are killed working on the N1. - . Nation: Russia. Program: Lunar L3. 1968 April 21 - . L1 on schedule; N1 in trouble. - . Nation: Russia. Related Persons: Mishin. Program: Lunar L1, Lunar L3. Spacecraft Bus: Soyuz. Spacecraft: Soyuz 7K-L1. This was a reserve day in the L1 countdown, in case of problems in preparation. However all is on schedule for the launch. The same cannot be said for the N1. There are many delays. Mishin promised the first N1 rollout in the first half of March, but it is still in the assembly building, with no end in sight of preparations. The weather at the cosmodrome is -5 deg at night, clear pleasant days. The Hotel Kosmonavt was finished on 15 April. Although it has all of its furniture, it was not completely painted before the furniture was moved in! 1968 May 7 - . Launch Site: Baikonur. Launch Complex: Baikonur LC110R. Launch Vehicle: N1. N1 booster 4L erected at launch complex 110 east - . Nation: Russia. Program: Lunar L3. 1968 June 23 - . Launch Vehicle: N1. First test of N1 stages - . Nation: Russia. Related Persons: Korolev, Kuznetsov. Program: Lunar L3. 1968 June 30 - . Launch Vehicle: N1. N1 ground vehicle 1M1 moved to launch pad 110 east - . Nation: Russia. Program: Lunar L3. While the next N1, 3L was being built, the 1M1 was moved back to the pad for further ground tests and launch crew training. It remained there until the end of September..
1968 September 10 - . L1 preparations. - . Nation: Russia. Program: Lunar L1, Lunar L3. 23 VVS staff fly to the cosmodrome aboard an An-24 for the impending L1 launch. The State Commission will meet there on 13 September to consider the L1 preparations, and on 17 September, L3 preparations..
1968 September 19 - . Launch Vehicle: N1. Bulldozer delays N1 launch by two months - . Nation: Russia. Related Persons: Afanasyev, Sergei. Program: Lunar L1, Lunar L3. Spacecraft Bus: Soyuz. Spacecraft: Soyuz 7K-L1. The Zond 5 situation remains the same. The star trackers quit working, and the use of the back-up systems has not been completely successful. However the spacecraft is on course for a ballistic re-entry. At Area 112 Afanasyev heads the State Commission for the N1-L3 first launch. There are problems with the launch complex. The main electrical cable to the launch complex was accidentally bulldozed. The back-up cables were buried only 30 cm from the main line and both were destroyed. The cables were poorly marked. It will take 50 days to repair the damage. This will delay first launch until the second half of November 1968, and the second launch to February 1969. Most likely the first launch cannot take place until next year. 1968 November 15 - . Launch Site: Baikonur. Launch Complex: Baikonur LC110R. Launch Vehicle: N1. N1 1M1 mockup erected on pad with L1S payload - . Nation: Russia. Program: Lunar L3. Spacecraft Bus: Soyuz. Spacecraft: Soyuz 7K-L1. The N1 mockup was again erected on the pad, in order to conduct tests of the L1S payload in advance of the availability of the 3L launch vehicle..
1968 November 26 - . L1 spacecraft too unsafe to beat Apollo 8 to moon - . Nation: Russia. Related Persons: Beregovoi. Program: Lunar L1, Lunar L3. Flight: Apollo 8. Spacecraft: LK, Soyuz 7K-L1, Soyuz 7K-OK.
Beregovoi is to be named commander of the Gagarin Centre. Gagarin himself was being prepared for the job, but his death in a plane crash ended that plan. The other cosmonauts are not ready for command. The centre desperately needs the two planned L3 trainers: the TBK-150 and Volchuk. Kamanin has been jerked around for four months on the issue. Even if the simulators were delivered, he would still need 2 million roubles and an additional 30 to 40 staff to install and operate them. 1968 December 16 - . Lunar Soviet. - . Nation: Russia. Related Persons: Mishin, Severin. Program: Lunar L1, Lunar L3. 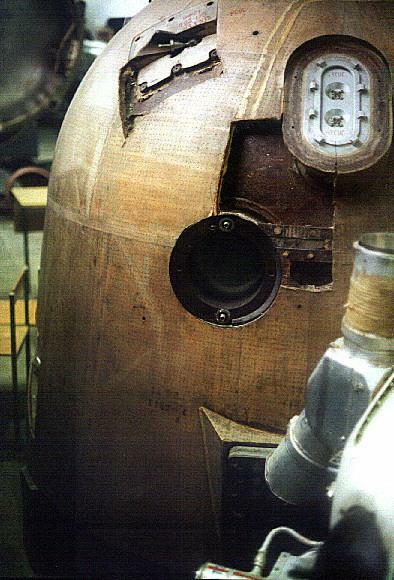 Spacecraft: Krechet, Soyuz 7K-L1. In a four-hour meeting, a number of issues are dealt with. First point was military control of the KIK control centre for lunar missions. A civilian mission control centre is requested. Next, the issue of recovery of L1 and L3 capsules in the Indian Ocean. The re-entry corridor within which landings might occur is 6000 km long and 100 km wide, stretching from Antarctica to India. To cover it will require 20 naval vessels, each with a helicopter, and 10 An-22 or Tu-95 long-range maritime reconnaissance and relay aircraft. Total cost: 600 million roubles. As Kamanin sees it, all this is due to Mishin's inability to design spacecraft capable of precision landing that also incorporates the landing and recovery aids requested by the VVS. Kamanin notes in his diary violent criticism of Mishin's disregard for the safety of the cosmonaut crews, development of crew-associated items at the last minute, unrealistic schedules and expectations, etc. etc. Severin reports that the lunar space suit he is designing will support the cosmonaut for three days, during walks extending 5 km. To do this requires a bulky suit weighing 100 kg. Kamanin disagrees, saying what is needed is to develop a simple and safe approach for the first landing, with a minimum programme for the cosmonaut - not the fantastic schemes of Mishin. L3 lunar lander behind schedule - . Nation: Russia. Related Persons: Brezhnev, Keldysh, Malinovskiy, Mishin, Smirnov, Ustinov. Program: Lunar L3, Apollo, Lunar L1. Flight: Soyuz 7K-L1 mission 1. Spacecraft: Luna Ye-8, Soyuz 7K-L1. The L3 spacecraft still does not even exist in mock-up form. All of the leadership are responsible for this farce - Malinovskiy, Smirnov, Ustinov, Brezhnev. There is no single manager of the space program. The VPK and Central Committee operate on rumours. The Interagency Soviet headed by Keldysh was supposed to coordinate space activities, but in fact has not functioned in the last four to five years. There is no single military space organisation in the Ministry of Defence. Piloted flight tests are being run by former artillery officers in the RSVN. Various organizations of MAP and VVS coordinate ground and flight tests poorly. These are the reasons for the failure of the Soviet Union in space. Today in the Central Committee Ustinov asked - 'how to answer Apollo 8?' Ustinov relies on Keldysh, Keldysh supports Mishin, and Mishin is unfit for his duties. But Mishin is not even there! The program they come up with: In January 1969, 2 Venera probes will be launched, two manned Soyuz missions, and L1 s/n 13 will be sent around the moon. In February the first N1 will be launched. By the end of March the first Ye-8 robot will land on the moon and return lunar soil to the earth. This meeting is followed by a session of the VPK at 16:00. The crews are named for the Soyuz 4 and 5 flights. 1968 December 26 - . Launch Site: Baikonur. Launch Complex: Baikonur LC110R. Launch Vehicle: N1. N1 launch vehicle 3L erected on launch pad - . Nation: Russia. Program: Lunar L3. The 3L vehicle, without its payload (which was on the 1M1 mockup), is erected on the pad to test engine systems..
1968 December 30 - . How to beat the Americans to the lunar landing - . Nation: Russia. Related Persons: Babakin, Chelomei, Keldysh, Mishin, Okhapkin, Pilyugin, Ustinov. Program: Lunar L3, Lunar L1, Luna. Spacecraft: LK-1, Luna Ye-8-5, Soyuz 7K-L1. 1968 December 31 - . Launch Site: Baikonur. Launch Complex: Baikonur LC110L. Launch Vehicle: N1. N1 launch pad 110 west completed - . Nation: Russia. Program: Lunar L3. 1969 January 9 - . Launch Vehicle: N1. State Commission for the first N1 launch - . Nation: Russia. Related Persons: Afanasyev, Sergei, Kurushin. Program: Lunar L3, Lunar L1. Spacecraft Bus: Soyuz. Spacecraft: Soyuz 7K-L1A. The State Commission for the first N1 launch, headed by Afanasyev, convenes at Area 12 of Baikonur. All of the Chief Designers and top generals of the VVS are in attendance. Many defects are identified in the review, but there seem to be no show-stoppers. Payload integration with the booster is to begin 13 January and launch by 18 February. Then Baikonur commander General Kurushin drops a bombshell - he declares he is not prepared to attempt to launch this 'unready' rocket. Much argument and discussion ensues. Finally Afanasyev asks that the issues raised be reviewed, in preparation for the next commission meeting on 11 January. 1969 January 11 - . Launch Vehicle: N1. N1 state commission meeting. - . Nation: Russia. Related Persons: Afanasyev, Sergei. Program: Lunar L3, Lunar L1. Spacecraft Bus: Soyuz. Spacecraft: Soyuz 7K-L1A. The issues raised with the N1 have been cleared up and settled. Afanasyev approves the schedule leading to an 18 February first launch of the N1..
1969 January 13 - . Launch Vehicle: N1. N1 payload preparation and fuelling are underway. - . Nation: Russia. Program: Lunar L3. Four N1 launches are planned in 1969: The launch of 3L will be followed by 5L, 6L, and 7L in April, June, and November. But this is probably much too optimistic due to delays in delivery of critical systems needed to complete the boosters. But at least 4L, 5L, and 6L should be launched this year. 1969 January 25 - . Launch Vehicle: N1. Apollo vs Ye-8-5 - . Nation: Russia. Program: Lunar L3, Luna, Apollo. Flight: Apollo 9. Spacecraft Bus: Luna Ye-8. Spacecraft: Luna Ye-8-5. America is preparing Apollo 9 for flight, and Kamanin muses that the Soviet reply will be the N1 and Ye-8-5, neither of which is proven or reliable. The Soviet Union would have a better chance of sending a manned L1 on a flight around the moon during the first quarter of 1969. Meanwhile Mishin's bureau has a new L3M lunar lander on the drawing boards. This will land 4 to 5 men on the moon, but require two N1 or seven UR-500K launches to assemble in orbit. 1969 January 30 - . Launch Vehicle: N1. N1/Ye-8-5 launch preparations - . Nation: Russia. Related Persons: Mishin, Tyulin. Program: Lunar L3, Luna. Spacecraft: Luna Ye-8. Mishin agrees with Tyulin that he will fly to Tyuratam on 3 February to supervise launch of the Ye-8 on 18 February and the first N1 on 21 February. .
1969 January 31 - . Launch Vehicle: N1. Preparations for the first N1 launch. - . Nation: Russia. Related Persons: Afanasyev, Sergei, Mishin. Program: Lunar L3. 1969 February 3 - . Launch Vehicle: N1. N1/Ye-8 preparations - . Nation: Russia. Program: Lunar L3, Luna. Spacecraft: LK, Luna Ye-8. Kamanin arrives at Tyuratam at 15:30 aboard an An-24. The State Commission for the first Ye-8 robot lunar rover mission is chaired by Tyulin at Area 31. The spacecraft will make a soft landing on the moon, deploy a mobile lunar rover that can traverse slopes up to 30 degrees. The rover will find a position that is clear of obstacles for the first Soviet manned lunar landing. It will then park there, and provide a landing beacon for the LK manned lander. The spacecraft will have a mass of 1700 kg in lunar orbit. Launch is set for 19-20 February. 1969 February 6 - . Volynov grounded - . Nation: Russia. Related Persons: Grechko, Andrei, Kuznetsov, Nikolai F, Leonov. Program: Lunar L3. Meetings are held at the cosmonaut centre to plan for the big visit to the base by Marshal Grechko. N F Kuznetsov briefs plans for the centre with the general staff. Kamanin discusses the situation with Leonov. Leonov notes the saying from Lenin on a banner at the centre: "Know how to work!" Unfortunately, they have left out the second part: "Don't hurry!" Leonov states he is not assigning Volynov to any future flights. 1969 February 11 - . Launch Vehicle: N1. Military space objectives - . Nation: Russia. Program: Lunar L3, Luna. Spacecraft: Luna Ye-8. The Ye-8 and N1 are on schedule for their respective launches. Kamanin discusses the cosmonaut training curriculum with Kerimov. No one has ever defined what it is cosmonauts are actually supposed to do in space. No one really knows what their purpose is --- not Keldysh, not Mishin, not Smirnov, not Ustinov. Kerimov agrees to put together a state commission to define the role of man in space and draw up plans for future space missions. 1969 February 21 - . 09:18 GMT - . Launch Site: Baikonur. Launch Complex: Baikonur LC110R. LV Family: N1. Launch Vehicle: N-1 11A52. FAILURE: First stage failure.. Failed Stage: 1. N1 3L launch - . Payload: Soyuz 7K-L1S s/n 3. Mass: 6,900 kg (15,200 lb). Nation: Russia. Related Persons: Afanasyev, Sergei, Dorofeyev, Kirillov, Mishin. Agency: RVSN. Program: Lunar L3. Class: Manned. Type: Manned spacecraft. Spacecraft Bus: Soyuz. Spacecraft: Soyuz 7K-L1A. Decay Date: 1969-02-21 . Apogee: 30 km (18 mi). 1969 March 3 - . Soviet/Chinese troops clash on Ussuri River - . Nation: Russia. Program: Lunar L3. Class: Manned. Type: Manned space station. Military on full alert; Tyuratam preempted by military through June. 1969 March 10 - . Launch Vehicle: N1. Apollo 9 points to US win - . Nation: Russia. Program: Lunar L3. Flight: Apollo 9. Kamanin notes the successful Apollo 9 mission. In his opinion Americans will land on the moon by the end of the year. The Soviet program is 3 to 4 years behind..
1969 March 29 - . Apollo films on view in Soviet Union - . Nation: Russia. Program: Lunar L3. Flight: Apollo 8, Apollo 9. VVS General Staff views US documentaries on Apollo 8 and 9, and footage from the 1968 Turin Air Show..
1969 May 8 - . Launch Vehicle: N1. Russian only hope is major Apollo failure - . Nation: Russia. Related Persons: Keldysh, Mishin, Pashkov, Serbin, Smirnov. Program: Lunar L3. Flight: Apollo 11. Mishin, Keldysh, Pashkov, Smirnov, and Serbin meet. Some of them are still expecting a big failure in the Apollo programme that will set the Americans back and still make it possible for Russia to be first on the moon. These are black days in the Soviet programme - it is clear to Kamanin that the Americans will successfully land on the moon in July, and the Russians are 2 to 3 years behind. 1969 May 16 - . Myth 'we were never in the moon race' disseminated by the Soviet Union - . Nation: Russia. Related Persons: Babakin, Keldysh. Program: Luna, Apollo, Lunar L3, Lunar L1. Flight: Apollo 11. Spacecraft Bus: Luna Ye-8. Spacecraft: Luna Ye-8-5. 1969 June 1 - . Original planned date for first LK test - . Nation: Russia. Program: Lunar L3. Class: Moon. Type: Manned lunar lander. Spacecraft Bus: Soyuz. Spacecraft: LK. Original planned date for first test of LK in earth orbit..
1969 June 1 - . Launch Vehicle: N1. 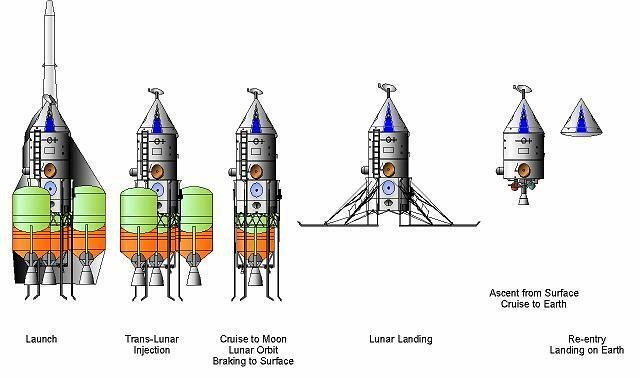 Soviet lunar plans - . Nation: Russia. Related Persons: Mishin. Program: Lunar L3, Lunar L1. Spacecraft: LK, Soyuz 7K-L1A. 1969 June 18 - . Launch Vehicle: N1. Mishin and Kamanin select candidates for the lunar landing mission. - . Nation: Russia. Related Persons: Afanasyev, Sergei, Bykovsky, Khrunov, Leonov, Makarov, Mishin, Patsayev, Rukavishnikov, Voronov, Yeliseyev. Program: Lunar L3. They are Leonov, Bykovsky, Voronov, Khrunov, Yeliseyev, Makarov, Rukavishnikov, and Patsayev. Mishin expects a landing by the end of 1970; Kamanin thinks this is impossible. Afanasyev and Mishin propose modernisation of the N1, but this will take three to four years, by which time the booster will be essentially obsolete. The second launch of the N1 is set for 3 July. It would be a welcome miracle if it flew, but it still would not be enough to erase the American lead in the moon race. Kamanin meets with Chief of Ministry of Defence General Staff Zakharov. - . Nation: Russia. Related Persons: Zakharov. Program: Lunar L3. Zakharov is violently opposed to the Ministry of Defence spending a single kopeck on the exploration of space. It all must be paid for by the Academy of Sciences or be consigned to the waste bin..
1969 July 3 - . 20:18 GMT - . Launch Site: Baikonur. Launch Complex: Baikonur LC110R. LV Family: N1. Launch Vehicle: N-1 11A52. FAILURE: First stage failure.. Failed Stage: 1. N1 5L launch - . Payload: Soyuz 7K-L1S s/n 5 / Dummy LK. Mass: 6,900 kg (15,200 lb). Nation: Russia. Agency: RVSN. Program: Lunar L3. Class: Manned. Type: Manned spacecraft. Flight: Apollo 11. Spacecraft Bus: Soyuz. Spacecraft: Soyuz 7K-L1A. Decay Date: 1969-07-03 . 1969 July 22 - . Launch Vehicle: N1. 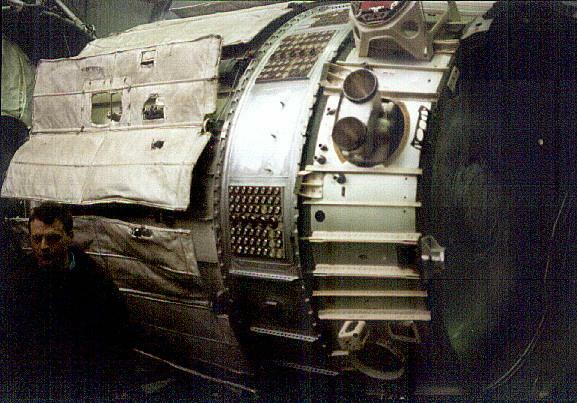 Soviet post-mortems after Apollo 11 - . Nation: Russia. Related Persons: Afanasyev, Sergei, Glushko, Keldysh, Kuznetsov, Mishin, Ustinov. Program: Lunar L3. 1969 August 1 - . Launch Vehicle: N1. VPK hearing on N1 improvements - . Nation: Russia. Related Persons: Brezhnev, Kuznetsov, Mishin. Program: Lunar L3. 1969 September 19 - . L1 state commission - . Nation: Russia. Related Persons: Brezhnev, Mishin, Tyulin. Program: Lunar L3, Lunar L1, Luna. Spacecraft: Luna Ye-8-5, Soyuz 7K-L1. 1969 September 24 - . Launch Site: Baikonur. Launch Complex: Baikonur LC110L. Launch Vehicle: N1. N1 on launch pad 110 west. - . Nation: Russia. Program: Lunar L3. This was the first new launch vehicle erection activity detected by US reconnsats after the destruction of pad 110 east in the July launch failure. The all-white launch vehicle, with no payload, is believed to be either N1 mockup 1M1 or flight vehicle 6L..
Soyuz n 18 (cancelled) - . Crew: Grechko, Kuklin. Nation: Russia. Related Persons: Grechko, Kuklin. Program: Lunar L3. Flight: Soyuz n 18. Spacecraft Bus: Soyuz. Spacecraft: Soyuz Kontakt. Would have simulated the passive LK lunar lander in an earth-orbit test of the Kontakt docking system..
Soyuz n 17 (cancelled) - . Crew: Khrunov, Yeliseyev. Nation: Russia. Related Persons: Khrunov, Yeliseyev. Program: Lunar L3. Flight: Soyuz n 17. Spacecraft Bus: Soyuz. Spacecraft: Soyuz Kontakt. The Kontakt system designed for the lunar orbit rendezvous and docking of the LOK lunar orbiter and LK lunar lander was to be mounted on two Soyuz spacecraft and tested in earth orbit. These flights were continuously delayed after the success of Apollo 11 and finally cancelled. 1969 December 31 - . 1969 in retrospect. - . Nation: Russia. Related Persons: Grechko, Andrei, Keldysh, Kutakhov, Mishin, Smirnov, Tereshkova, Ustinov. Program: Soyuz, Lunar L3. Tereshkova is on a tour of Jordan and Syria. Kamanin muses over the year 1969. He is able to rationalise that it wasn't a bad year -- they flew 9 cosmonauts on five space missions. But of course they lost the moon to the Americans. He blames Mishin, Keldysh, Smirnov, and Ustinov for this. But he also blames the attitude of the Ministry of Defence and VVS. This is indicated by the total indifference to civilian space projects of Grechko and Kutakhov. They don't support the Gagarin Centre, or Kamanin's request for 10 additional Soyuz flights in earth orbit. Kamanin views the L3 spacecraft and mission scenario as unsafe. What is needed is a new spacecraft, launched by two N1 boosters, that will take a crew of 3 to 5 to the moon. 1970 February 20 - . Soyuz 9 schedule; Soyuz Kontakt flights in limbo - . Nation: Russia. Related Persons: Serbin, Smirnov, Ustinov. Program: Soyuz, Lunar L3. Flight: Soyuz 9, Soyuz n 17, Soyuz n 18, Soyuz n 19, Soyuz n 20. Spacecraft: Salyut 1, Soyuz Kontakt. It was originally planned to fly two Soyuz spacecraft in August-September 1970, but at the end of December it was ordered that this be changed to a single 20 day flight in April 1970. Kamanin was given only two days to put together a training programme that had to prepare the cosmonauts for flight by 20 March. The State Commission meets and decides to move the Soyuz 9 flight to May, even though Kamanin says he can support the April schedule. It is the scientific institutes who say they cannot finish development of their experiments - even to meet the May schedule. Kamanin blames such chaos on Smirnov, Serbin, and Ustinov. 1970 February 25 - . Soyuz 9 decision preempts Soyuz Kontakt flights - . Nation: Russia. Related Persons: Afanasyev, Sergei, Kerimov, Mishin. Program: Soyuz, Lunar L3. Flight: Soyuz 9, Soyuz n 17, Soyuz n 18, Soyuz n 19, Soyuz n 20. Spacecraft Bus: Soyuz. Spacecraft: Soyuz Kontakt. Meeting with Mishin. It is clear that he wanted to continue with the original plan for a dual Soyuz flight in August. It was Afanasyev and Kerimov who were pushing for a single long-duration flight in May. There is no action by the Ministry of Defence to provide rational decision making in regard to manned spaceflight. 1970 April 18 - . Kamanin considers the Apollo 13 mission. - . Nation: Russia. Program: Lunar L3, Apollo. Flight: Apollo 13. He believes it was a 'true test' of American technical capability in space. The saving of the American astronauts demonstrated the robust redundancy in the American Saturn V - Apollo design, as compared with the Soviet N1-L3. The latter, Kamanin remarks, is a bad launch vehicle, boosting a bad spacecraft. Kamanin sees the Soviet science fiction film Solaris - and finds it too fantastic for his taste. 1970 May 18 - . Launch Site: Baikonur. Launch Complex: Baikonur LC110L. Launch Vehicle: N1. N1 erected on launch pad 110 west. - . Nation: Russia. Program: Lunar L3. US reconnsat detects N1 being installed on the pad. It remained there, without payload, at least through 4 June..
1970 November 24 - . 05:15 GMT - . Launch Site: Baikonur. Launch Complex: Baikonur LC31. LV Family: R-7. Launch Vehicle: Soyuz 11A511L. Cosmos 379 - . Payload: Lunar Craft T2K no. 1. Mass: 5,500 kg (12,100 lb). Nation: Russia. Agency: MOM. Program: Lunar L3. Class: Moon. Type: Manned lunar lander. Spacecraft Bus: Soyuz. Spacecraft: LK. Duration: 4,683.78 days. Decay Date: 1983-09-21 . USAF Sat Cat: 4760 . COSPAR: 1970-099A. Apogee: 232 km (144 mi). Perigee: 198 km (123 mi). Inclination: 51.60 deg. Period: 88.70 min. LK moon lander test using the T2K version. First use of the Soyuz 11A511L booster modified especially for this purpose. The spacecraft made a series of engine burns, simulating the lunar landing profile. After 3.5 days in orbit, the first burn was made in imitation of a descent to the lunar surface after separation of the Block D lunar crasher stage. The orbit changed from 192 km X 233 km to 196 km X 1206 km orbit; delta V: 263 m/s. After 4 days in orbit, a large manoeuvre was made simulating the ascent from the lunar surface. The orbit was changed from 188 km X 1198 km to 177 km X 14,041 km; delta V: 1518 m/s. These main manoeuvres were followed by a series of small adjustments simulating rendezvous and docking with the LOK. The LK tested out without major problems and decayed from orbit on September 21, 1983. 1970 December 2 - . 17:00 GMT - . Launch Site: Baikonur. Launch Complex: Baikonur LC81/23. LV Family: Proton. Launch Vehicle: Proton-K/D. Cosmos 382 - . Payload: Soyuz 7K-L1E s/n 2K. Mass: 10,380 kg (22,880 lb). Nation: Russia. Agency: MOM. Program: Lunar L3. Class: Manned. Type: Manned spacecraft. Spacecraft Bus: Block D. Spacecraft: Soyuz 7K-L1E. Duration: 8,549.30 days. USAF Sat Cat: 4786 . COSPAR: 1970-103A. Apogee: 5,269 km (3,273 mi). Perigee: 2,384 km (1,481 mi). Inclination: 55.90 deg. Period: 171.00 min. Test of Block D upper stage in its N1 lunar crasher configuration in earth orbit. The three maneuvers simulated the lunar orbit insertion burn; the lunar orbit circularization burn; and the descent burn to bring the LK lunar lander just over the surface. Payload was a modified Soyuz 7K-L1 circumlunar spacecraft, which provided guidance to the Block D and was equipped with television cameras that viewed the behavior of the Block D stage propellants under zero-G conditions. Total Delta V: 2578 m/s. 1970 December 19 - . Differences between VVS and Mishin enumerated. - . Nation: Russia. Related Persons: Mishin, Smirnov, Stroganov, Ustinov. Program: Salyut, Lunar L3. Flight: Soyuz 10. 1970 December 31 - . Launch Vehicle: UR-700. UR 700/LK-700/RD-270 definitively cancelled. - . Nation: Russia. Program: Lunar L3. Class: Moon. Type: Manned lunar spacecraft. Spacecraft Bus: TKS. Spacecraft: LK-700. Further development work on the RD-270 engine, UR-700 launch vehicle, and LK-700 lunar landing project are cancelled following the successful Apollo lunar landing..
1971 February 26 - . 05:06 GMT - . Launch Site: Baikonur. Launch Complex: Baikonur LC31. LV Family: R-7. Launch Vehicle: Soyuz 11A511L. Cosmos 398 - . Payload: Lunar Craft T2K no. 2. Mass: 5,500 kg (12,100 lb). Nation: Russia. Agency: MOM. Program: Lunar L3. Class: Moon. Type: Manned lunar lander. Spacecraft Bus: Soyuz. Spacecraft: LK. Duration: 8,463.78 days. Decay Date: 1995-12-10 . USAF Sat Cat: 4966 . COSPAR: 1971-016A. Apogee: 1,958 km (1,216 mi). Perigee: 186 km (115 mi). Inclination: 51.50 deg. Period: 106.70 min. Second space test of the LK moon lander test using the T2K version. Followed the same programme as Cosmos 379. Total Delta V: 2832 m/s. Officially: Investigation of the upper atmosphere and outer space. 1971 March 4 - . N1/L3 Expert Commission - . Nation: Russia. Related Persons: Keldysh, Kuznetsov, Nikolai F, Mishin, Tereshkova. Program: Lunar L3. Spacecraft: Krechet, LK-700, Soyuz 7KT-OK.
Pushkin and Kuznetsov brief Kamanin on the results of the N1/L3 expert commission. They found that the N1/L3 is unreliable and that the design needs to be fundamentally re-examined. Therefore the Soviet Ministers and Central Committee passed a decree that the commission must determine by 1 May 1971 what to do with the lunar project. Kamanin's opinion: abandon the N1-L3, modify Chelomei's UR-700 design to replace it, and design a new lunar landing spacecraft for missions in 1974-1975. Mishin is afraid of such a solution. Kamanin believes that the commission, headed by Keldysh, will finally recommend continued development and flight of Mishin's bad booster and even worse spacecraft. It is true that the N1 design has been substantially reworked in the last 18 months, but Kamanin believes it to be fundamentally flawed and that nothing can make it reliable. 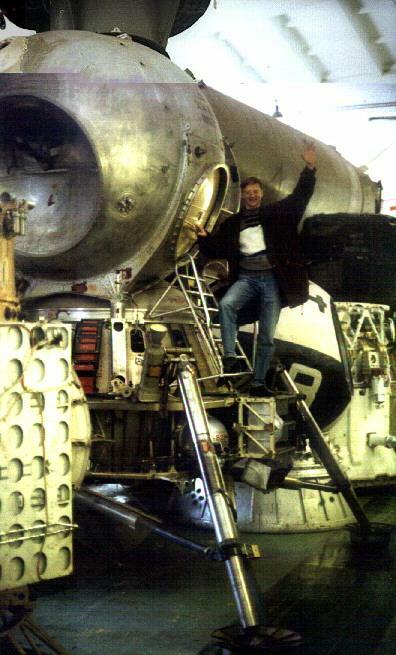 After Mishin pushed his Indian Ocean recovery plan for the L3, the VVS insisted on sea trials of the capsule. 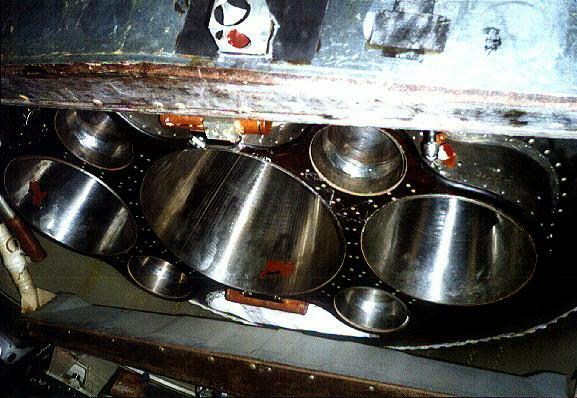 These showed the cosmonauts had to get out within 30 to 35 minutes before the valves to the interior started leaking seawater. The L3 is also unsafe due to the EVA method of transfer to the LK of a single unassisted cosmonaut. The Krechet spacesuit is very bulky and unmanoeuvrable. Prague wanted Gagarin's widow for International Women's Day.since Tereshkkova couldn't go, but she wants no part of public appearances. 1971 April 13 - . Cosmodrome jammed for series of historic launches. - . Nation: Russia. Related Persons: Nikolayev, Volynov. Program: Salyut, Lunar L3. Flight: Soyuz 10. Spacecraft Bus: Almaz. Spacecraft: Salyut 1. Nikolayev and others are flying to the cosmodrome. All of the cosmonauts except Volynov will be present for the historic launch of the first space station., the first crew to the station, and the N1 launch planned for 1 May. Kamanin has an argument with the cosmonauts on the necessity of working out on the KTF trainer during the mission. Zarya renamed Salyut - . Nation: Russia. Program: Lunar L3, Salyut. Spacecraft: Salyut 1, Shuguang 1. 1971 May 15 - . LV Family: N1. Launch Vehicle: N1M. Go-ahead to develop LH2/LOX stage for N1M - . Nation: Russia. Program: Lunar L3. 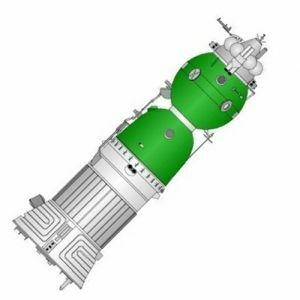 Decision made to proceed with development of the multi-engined stage Block Sr with a propellant mass of 66.4 tonnes. This single stage would be used in place of the previously-planned Blocks S and R to insert the modernized Lunar Expeditionary Complex (LEK) into low lunar orbit. It was also to be used to insert heavy spacecraft into geosynchronous orbit and on interplanetary trajectories. 1971 August 12 - . 05:30 GMT - . Launch Site: Baikonur. Launch Complex: Baikonur LC31. LV Family: R-7. Launch Vehicle: Soyuz 11A511L. Cosmos 434 - . Payload: Lunar Craft T2K no. 3. Mass: 5,500 kg (12,100 lb). Nation: Russia. Agency: MOM. Program: Lunar L3. Class: Moon. Type: Manned lunar lander. Spacecraft Bus: Soyuz. Spacecraft: LK. Duration: 8,296.77 days. Decay Date: 1981-08-22 . USAF Sat Cat: 5407 . COSPAR: 1971-069A. Apogee: 1,253 km (778 mi). Perigee: 193 km (119 mi). Inclination: 51.60 deg. Period: 99.30 min. Final LK moon lander test using the T2K version. Total Delta V: 1599 m/s. Ten years later the spacecraft was due to re-enter over Australia soon after the Skylab scare. The Soviet Union told the people of Australia not to worry, it was only an experimental lunar cabin - the first inadvertent admission that their manned lunar project even existed! 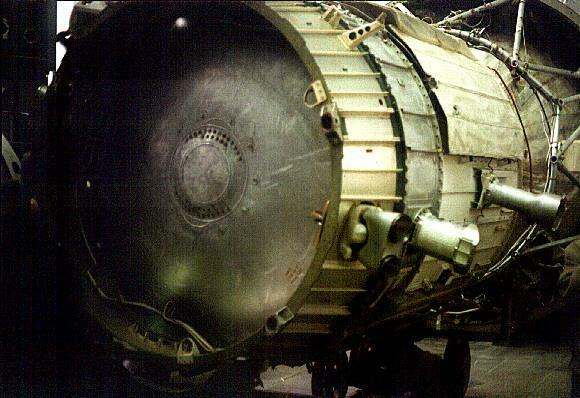 Soyuz sn 18 (cancelled) - . Crew: Filipchenko, Grechko. Nation: Russia. Related Persons: Filipchenko, Grechko. Program: Lunar L3. Flight: Soyuz sn 18. Spacecraft Bus: Soyuz. Spacecraft: Soyuz Kontakt. Soyuz s/n 18 would have been the active spacecraft of the first dual launch to test the Kontakt lunar orbit rendezvous system. A crew transfer using the Krechet spacesuit would presumably have taken place..
Soyuz sn 19 (cancelled) - . Crew: Lazarev, Makarov. Nation: Russia. Related Persons: Lazarev, Makarov. Program: Lunar L3. Flight: Soyuz sn 19. Spacecraft Bus: Soyuz. Spacecraft: Soyuz Kontakt. 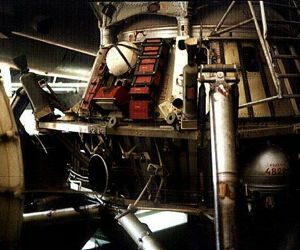 Soyuz s/n 19 would have been equipped with the passive Kontakt rendezvous/docking system of the LK lunar lander. Would have served as a docking target for Soyuz s/n 18 . A crew transfer using the Krechet spacesuit would presumably have taken place..
Soyuz sn 21 (cancelled) - . Crew: Dobrovolsky, Sevastyanov. Nation: Russia. Related Persons: Dobrovolsky, Sevastyanov. Program: Lunar L3. Flight: Soyuz sn 21. Spacecraft Bus: Soyuz. Spacecraft: Soyuz Kontakt. 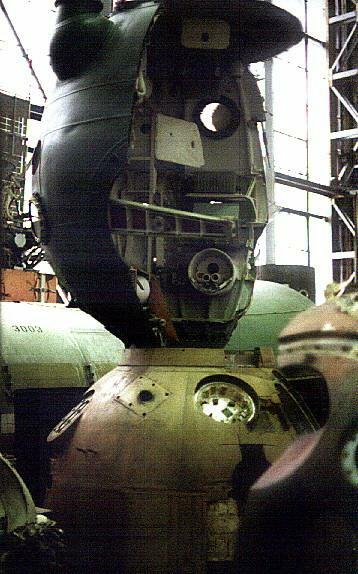 Soyuz s/n 21 equipped with the passive Kontakt rendezvous/docking system of the LK lunar lander. Would have served as a docking target for Soyuz s/n 20 . A crew transfer using the Krechet spacesuit would presumably have taken place..
Soyuz sn 20 (cancelled) - . Crew: Vorobyov, Yazdovsky. Nation: Russia. Related Persons: Vorobyov, Yazdovsky. Program: Lunar L3. Flight: Soyuz sn 20. Spacecraft Bus: Soyuz. Spacecraft: Soyuz Kontakt. Soyuz s/n 20 would have been the active spacecraft of the second dual launch to test the Kontakt lunar orbit rendezvous system. A crew transfer using the Krechet spacesuit would presumably have taken place..
Soyuz sn 22 (cancelled) - . Crew: Isakov, Kovalyonok. Backup Crew: Shcheglov. Nation: Russia. Program: Lunar L3. Flight: Soyuz sn 22. Spacecraft Bus: Soyuz. Spacecraft: Soyuz Kontakt. 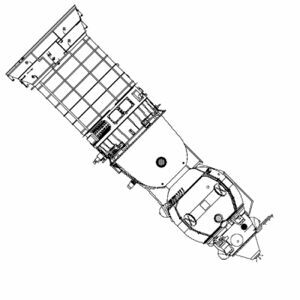 Soyuz s/n 22 would have been the active spacecraft of the second dual launch to test the Kontakt lunar orbit rendezvous system..
Soyuz sn 23 (cancelled) - . Crew: Shcheglov. Nation: Russia. Related Persons: Shcheglov. Program: Lunar L3. Flight: Soyuz sn 23. Spacecraft Bus: Soyuz. Spacecraft: Soyuz Kontakt. 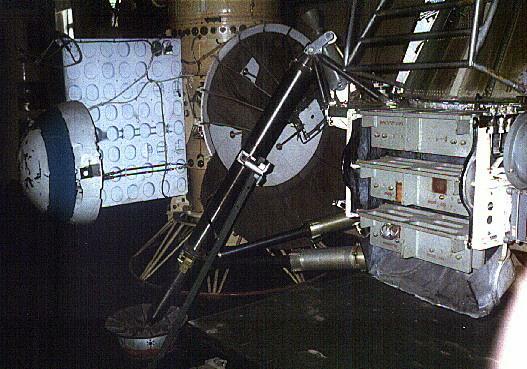 Soyuz s/n 23 would have been equipped with the passive Kontakt rendezvous/docking system of the LK lunar lander. The spacecraft would have served as a docking target for Soyuz s/n 22. 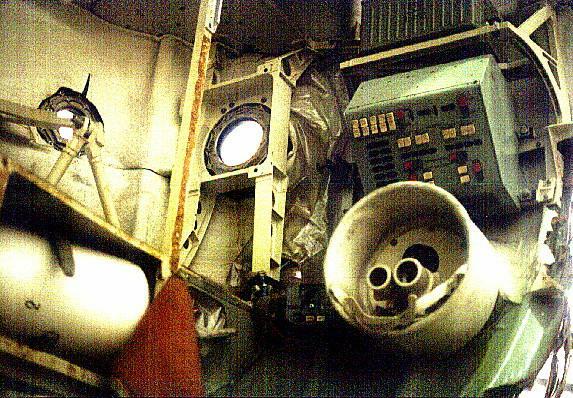 In Kamanin's diary, the name of the second crewmember is illegible..
1972 June 1 - . Launch Vehicle: N1. Soviet Lunar Landing (cancelled) - . Nation: Russia. Program: Lunar L3. Flight: Soviet Lunar Landing. The Russians were never able to have enough success with the N1 booster to have a serious schedule for the first Soviet lunar landing. In January 1969, before the first N1 launch, it was not expected that a Soviet landing would take place until 1972 at the earliest. In such circumstances only a disaster leading to cancellation of the Apollo program would allow the Russians to be first to the moon. After the explosions of the first two N1 rockets, and the success of Apollo 11, Russian engineering efforts were diverted into crash development of the Salyut space station in order to beat the American Skylab. Cosmonauts trained for L3 lunar landing missions until October 1973, when the last training group was dissolved. By that time actual manned flight of the original single-launch L3 LOK/LK spacecraft to the moon had been abandoned. 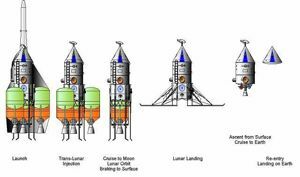 Instead work was underway on the N1F-L3M, a twin launch scenario that would put the L3M lander on the surface in 1978 for extended operations, and eventually, a lunar base. This in turn was cancelled with the entire N1 program in 1974. 1972 August 15 - . Launch Vehicle: N1. N1 7L launch readiness review - . Nation: Russia. Related Persons: Mishin. Program: Lunar L3. 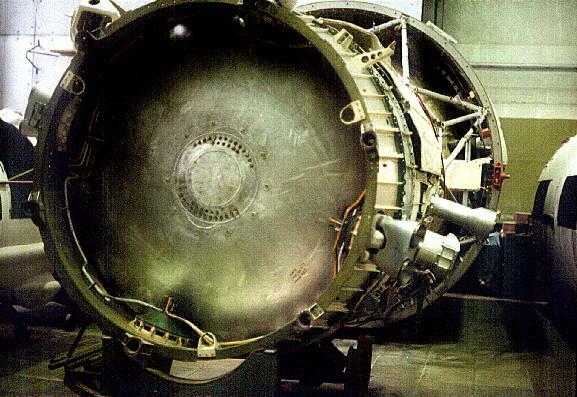 Mishin held a Soviet of N1 chief designers to confirm launch readiness..
1972 September 20 - . Launch Vehicle: N1. Final N1 components arrive at Baikonur - . Nation: Russia. Program: Lunar L3. The replacement transformers for the VP53 digital to analogue converters were delivered to Baikonur..
1972 October 14 - . Launch Vehicle: N1. Electrical trials of the N1 7L were successfully completed. - . Nation: Russia. Program: Lunar L3. 1973 January 1 - . LV Family: N1. Launch Vehicle: N1F-L3M. N1-L3M - . Nation: Russia. Program: Lunar L3. Spacecraft Bus: L3M. Spacecraft: L3M-1972. The first lunar expedition project, the N1-L3M, was studied in 1973..
Soyuz Kontakt A (cancelled) - . Crew: Filipchenko, Gorbatko. Backup Crew: Vorobyov, Yazdovsky. Nation: Russia. Program: Lunar L3. Flight: Soyuz Kontakt A. Spacecraft Bus: Soyuz. Spacecraft: Soyuz Kontakt. Final crews selected for a dual Soyuz mission in Earth orbit to test the Kontakt docking system to be used on the lunar landing LOK and LK spacecraft. The launches were delayed and then cancelled due to continuing problems with the N1 lunar booster..
1974 May 2 - . Launch Vehicle: N1. N1-L3 program is cancelled - . Nation: Russia. Related Persons: Glushko, Kozlov, Mishin. Program: Lunar L3. Class: Manned. Type: Manned space station. The N1 program was cancelled before the next test flight. Mishin was removed as head of NPO Energia. Kozlov is first asked to replace him, but he prefers to stay in Samara. Glushko is appointed as the second choice. Two fully assembled (serial numbers 8L and 9L), and four partially assembled rockets were available at time of cancellation. 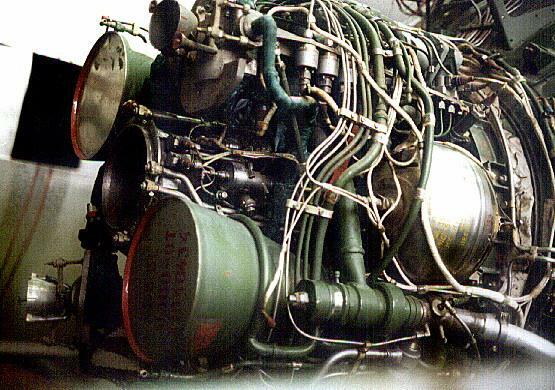 These would have been the first to use the new modernized series NK-33/NK-39 engines. 8L was planned for launch in the fourth quarter of 1974. Confidence was high that, based on the massive telemetry received on the 7L flight, that all problems would have been rectified. A total of 3.6 billion rubles was spent on the N1-L3 program, of which 2.4 billion rubles went into N1 development. Those on the project felt that they were within months of finally providing the Soviet Union with a heavy-lift booster. Instead the work was discarded, and Glushko began design of the RLA/Vulkan with entirely new configuration and engines. 1975 January 1 - . Vulkan Lunar Base - . Nation: Russia. Related Persons: Barmin, Bushuyev, Glushko, Mishin. Program: Lunar L3. Spacecraft: LEK, Lunokhod LEK, LZhM, LZM. 1976 May 1 - . Plea for revival of N1 project - . Nation: Russia. Program: Lunar L3. Spacecraft: Buran.